It is a story, not one of science, and one that may not be remembered past this one lifetime. It is the story of someone who did not know his destiny, but followed it with unfaltering step, bound to his human companion, not by vows or paper, but in the name of the trust that was the best part of his nature. It is a story of the one that taught her to love, even as he occasionally barfed on the carpet. 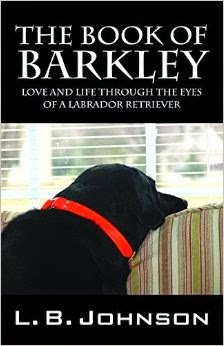 It is simply the tale of a black Labrador retriever named Barkley. It was the beginning never anticipated; belief that there were no limits that made tragedy inevitable, a gentle nuzzle that made the walls fall away, and the pull of the leash into the day’s infinitude. It was an ending she did not expect; a leash laid across the chair, an empty bed, a glass tipped over, spilling the blood of wine. The noise that an empty room makes is as clear as tears. In between, there are the stories, of friends, of joy and dog hair, of a small pink ball with feet known as Mr. Squeaky, which became the mortal enemy at dawn, as she tried to sleep. It is the story of rambunctious trespasses such as “the bacon incident” and the loving trust that bound a lonely road warrior and a dog together in unspoken understanding. The Book of Barkley is a tribute and memoir that will resonate with everyone who has reached out without thinking to their pet... only to remember that their beloved friend is no longer present. The Book of Barkley is a love story that will enrich every animal lover's library.